BD Online Associated Champions 2018! The BD Online Associated Championships are over for another year. 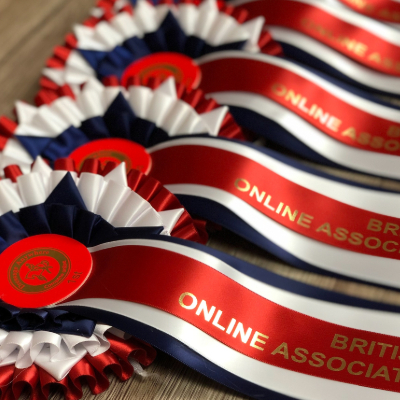 Riders from across the UK and overseas qualified with three scores of 60% or above and took part in the Online Championship Show in November. Have a look at the full results on the scoreboard. Congratulations to everyone who took part! We love being able to offer you all a Championship run in collaboration with British Dressage, giving so many riders the opportunity to take part without leaving their yard. Championship rosettes will be winging their way to you and prizes will come direct from British Dressage. Each placed rider will also receive a Dressage Anywhere badge and discount voucher! Standby for more stories about our Champions! If you placed in the BD Online Associated Championships, we'd love to hear from you. Complete this form telling us all about you and your horse and send us a photo.